Animals are awesome. I will take a dog over a human being any day. Even if they judge you, you don't have to hear them say it. haha Seriously though, animals give the best love. We can show our love back, with good food, lots of love, and many, many toys. This hasn't been in our home very long, neither have our kitties. They are finally starting to come around these, but they are still getting use to us as well. When they do get in the playing mood, I will hear the bell inside the ball, multiple times. It seems like each time, they play a bit more with it. 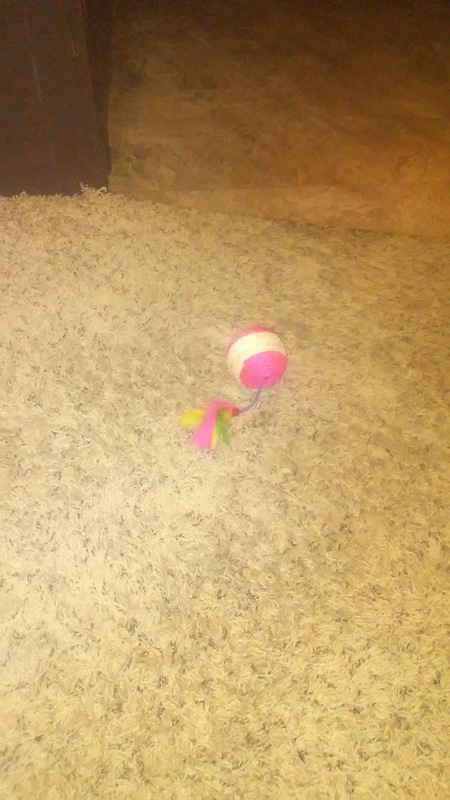 Since they are little, they haven't really damaged the toy yet. A bigger cat, may be able to tear it apart. 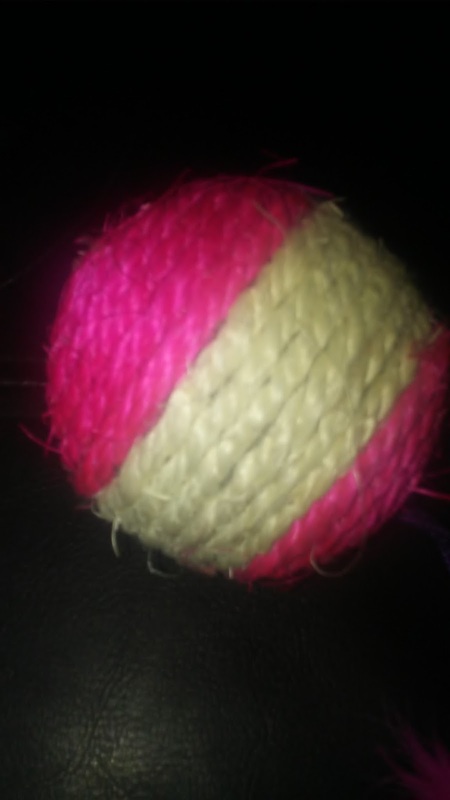 The ball itself, is shaped with rope in yellow and pink. 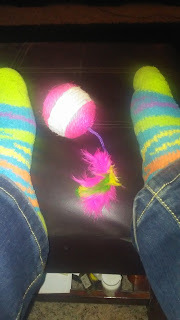 A string on the bottom, connects a multi colored set of feathers. It seems to be pretty well made, with quality stuff. It also seems to be put together well, but there are a lot fo strings hanging off. Looks wise though, it is pretty neat. Of course, you can't forget the bell inside the ball. 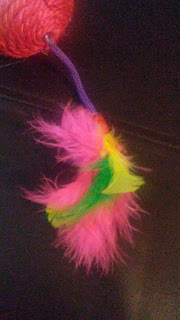 If your pets play with this toy a lot, the bell will annoy the crap out of you. 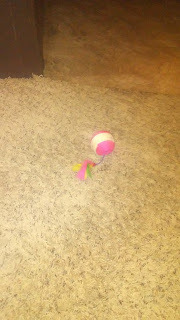 I have found myself, throwing this thing down the hall and into another room, just to get it away, so I didn't have to hear it anymore. Now my personal petty problems... This product is an add on item. I don't have much money, so I had to use a trick and then it cost more than what it was suppose to, and they will not answer any of my emails or messages. I hope you have better luck. Remember, you must order $25 worth of items, to even order it. My kitties seem to be warming up to it, If you think your furbabies will like it as well, head on over to the Amazon product page. Thank you so much for reading. As always, I got this product at a discount, in exchange for my honest review. All opinions are real and are my own.